It is made of brilliant and rose-cut diamonds set in platinum with six emeralds on either side. 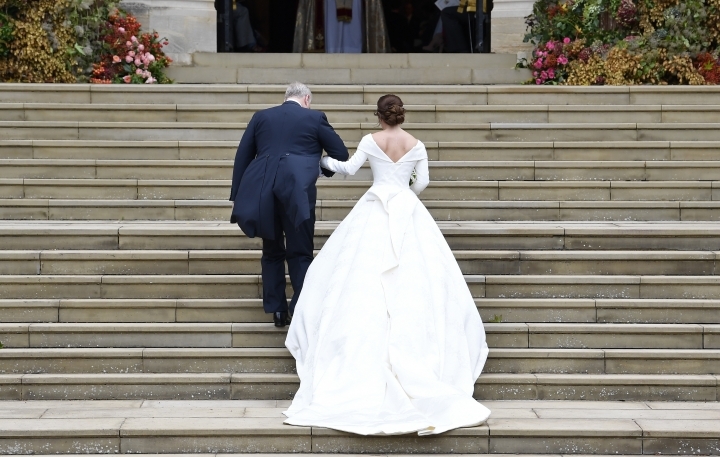 Gusty wind required Eugenie to walk carefully up the steps leading to St. George's Chapel as she was escorted by her father, Prince Andrew. 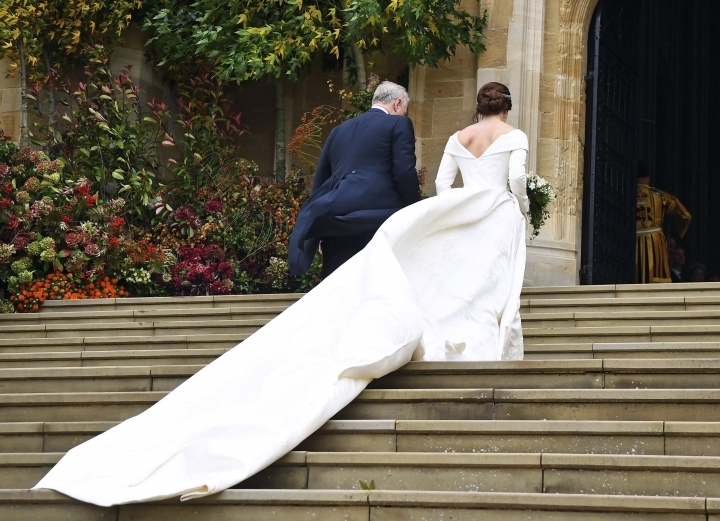 The 28-year-old bride is ninth in line for the British throne. 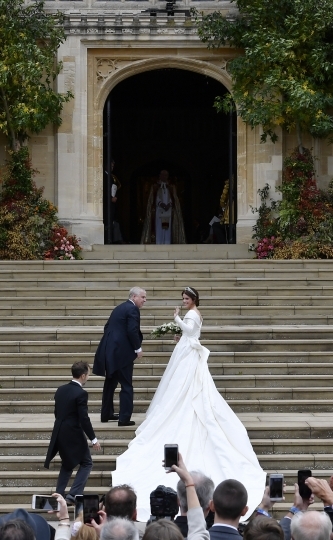 She wore a gown by British designers Peter Pilotto and Christopher De Vos. She also wore a diamond and emerald encrusted tiara. 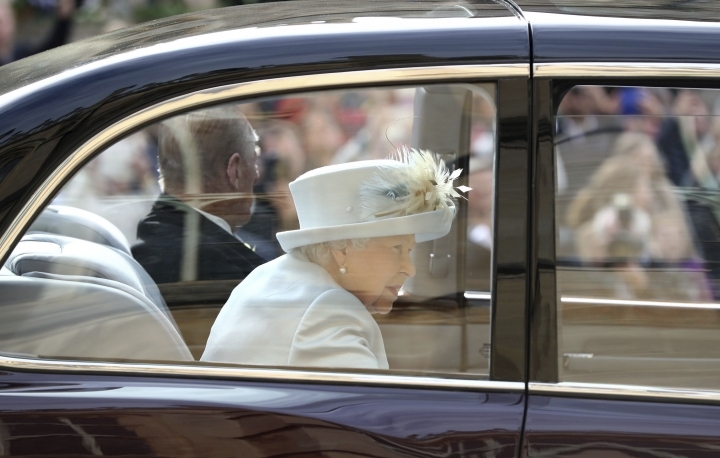 Queen Elizabeth II and her husband Prince Philip attended the wedding, along with Prince Charles, Prince William, Prince Harry and other senior royals. The couple got engaged in January when Brooksbank, 32, proposed during a holiday trip to Nicaragua. They have dated for seven years. 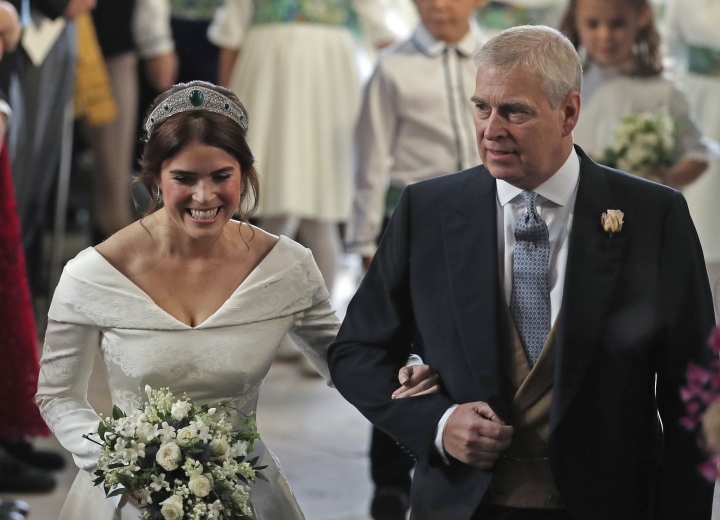 Britain will have its second royal wedding of the year when Princess Eugenie weds a tequila brand executive in a gala ceremony on the grounds of Windsor Castle. Eugenie and Jack Brooksbank are to marry Friday at St. George's Chapel, which is part of the castle complex. 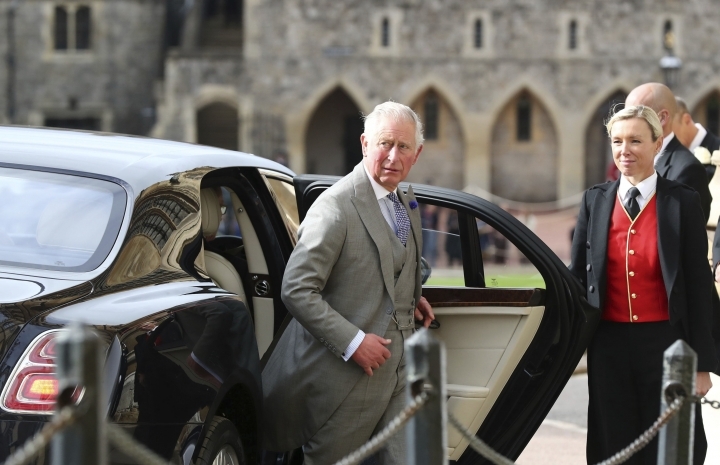 The nuptials will draw most senior members of the royal family, including Eugenie's grandmother, Queen Elizabeth II.